Quite Fast For A Snail: A Letter From The United Kingdom!! 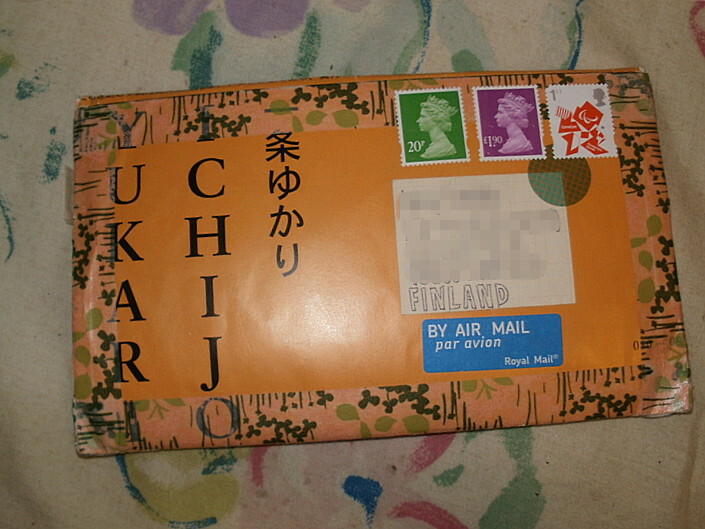 I really liked her envelope and it was so nice to read her letter and get to know her! 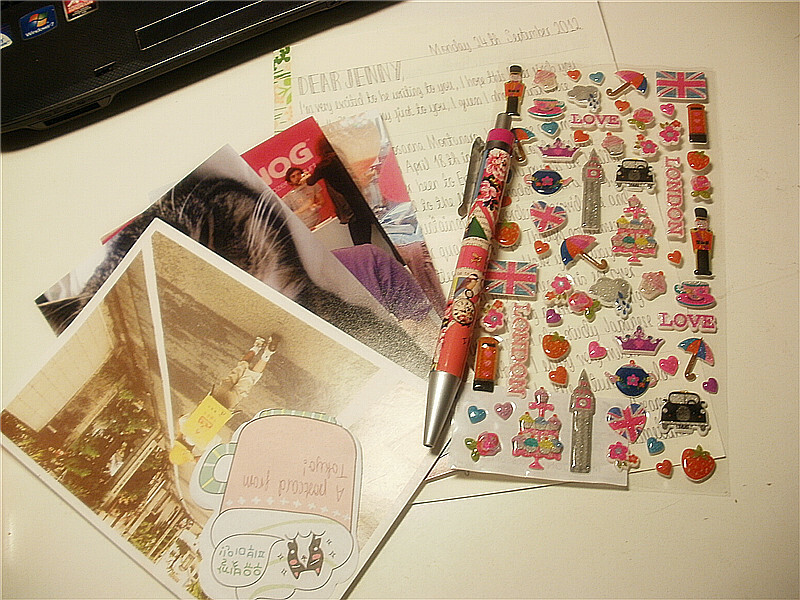 She sent me photos, postcard from Tokyo, pen, stickers and letter. Again, love Swap-Bot because you never know what you're going to get or from where. Very cool stickers and stuff that she sent you. I love penpaling and really need to do it more often.